Many companies offer loyalty cards in an attempt to win over more customers and keep them coming back to spend more money. Whether it's a free product or bonus discount, consumers generally appreciate getting something extra when making a purchase. However, that doesn't always mean your business will benefit from such a program. Without a loyalty card program, you know only the generalities of your customers -- such as how much milk you sold for the entire month -- rather than the specifics about the people buying your product. By using loyalty cards, you can gather substantial market data about your customers, such as how each one responds to sales and when each customer makes certain purchases. With that additional data, you can tailor your marketing efforts better so you can maximize the impact. If your business operates in an industry where loyalty cards are standard fare for customers, not having a loyalty program can cost you customers. On the flip side, if your business sells products that are very similar to others, such as a grocery store or neighborhood coffee shop, a loyalty card can differentiate your product. For example, if customers know that if they spend a certain amount at your store, they get a reward, that might be enough to convince them to pick your business over a similar store without similar perks. Just because someone has a "loyalty" card for your business doesn't mean she's actually going to choose your company's product when another offer comes along. Some loyalty programs do little more than cost the company money, because customers use their loyalty cards only as long as they reap substantial discounts or earn bonuses. Once the loyalty program disappears or a cheaper alternative comes along, your "loyalty" cards start collecting dust. Unless you're building brand equity with your customers, it's easy for them to simply switch to the next company's discount program. Why Is It Important for a Firm to Gain Competitive Advantage in a Marketplace? 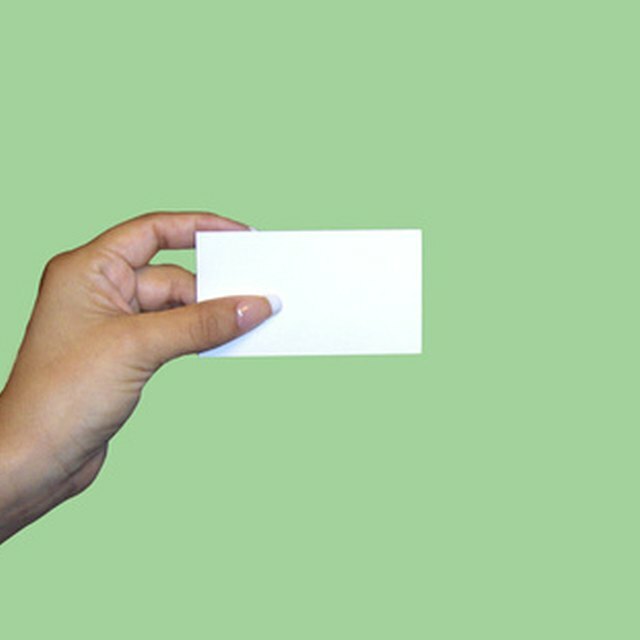 Distinguishing Between "Extras" and "Substitutions"
The Harvard Business Review encourages businesses to distinguish loyalty programs that offer "extras" and those that offer "substitutions." Substitutions are essentially free giveaways that the company loses revenue over, because if it wasn't for the loyalty program, the customer would have bought the item anyway. For example, say the average coffee shop customer buys coffee 10 times per month. If a loyalty card allows the customer to buy nine cups and get one free, the loyalty card is just giving away that last cup for free without getting anything extra from the customer, which means your loyalty program is costing you revenue. But, if the loyalty program is set up so the customer gets a free cup if he buys 15 cups in a month, and that incentivizes the customer to buy five extra cups each month more than he would have without the loyalty card, your business benefits, because the customer has now bought 15 cups per month rather than only 10.